Need more space? More storage? A home office? A room for entertaining? You may be standing on the answer. Our basement renovations in Calgary transform homes, enabling more Calgary residents to stay in the house they love, and gain the additional space and function they need. Here’s another great reason to renovate your basement: aging in place. That’s a term that means getting older in the home and community you love. Many adults fear moving into a senior’s home and losing their independence, yet their home becomes too difficult to manage on their own. With an accessible in-home suite in the basement, you can age in place while having other family members (such as your son or daughter and their young family) living on the upper floor. Alternately, you can move mom, dad or grandma into the downstairs suite while you continue to live on the upper floor. Stair lifts, accessible tubs, enlarged doorways for walkers or wheelchairs – we can do it all. Whatever your stage of life, your basement is full of potential and just waiting to be transformed to suit your needs. 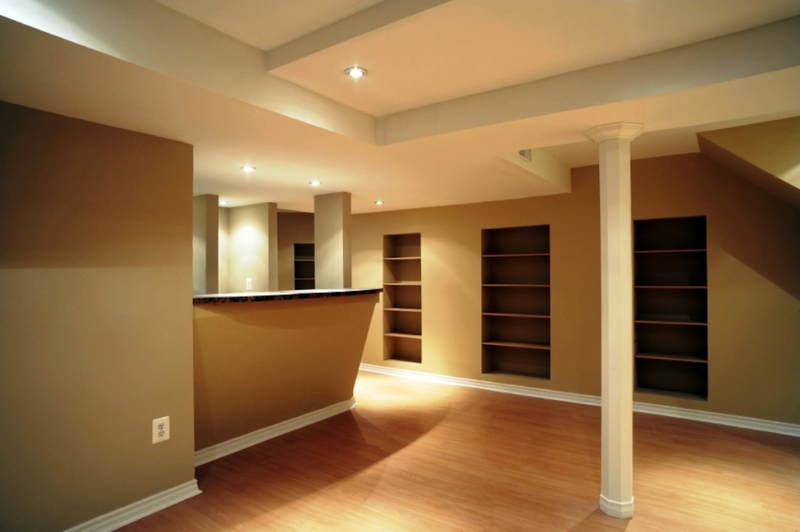 We are the home renovation Calgary experts that know how to make basements shine. Let the design + remodel + resale team at HomeFix™ work with you to transform your home today. Contact us for a consultation. Email info@thehomefix.ca or phone (403) 612-7225.